Takapuna Art Supplies: Full Range of Copic Markers and Refills In Stock Now! Full Range of Copic Markers and Refills In Stock Now! We are excited to announce that we now stock the full range (216 colors) of Copic Markers and the full line of replacement inks and tips. New to New Zealand, and Exclusive to Takapuna Art Supplies, we are also stocking Copic's Wide Markers and Copic pads in A3 and A2 size. 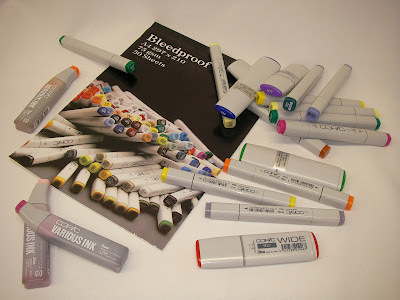 Copic is the preferred marker of professional creatives! Check back for tips and techniques and samples of what artists are creating with Copics.